I received my first die-cut machine, the Cricut Personal, a few years ago. It only cut up to 5 inches in height. Although I couldn’t make rather large cuts I could make beautiful cards and other projects that required a die-cut. Earlier this year I had to make the difficult decision of choosing to jump ship from Cricut and join the Silhouette bandwagon or stick with Cricut. That is when Cricut unveiled their new Cricut Mini Personal Electronic Cutter at CHA. And with the Circut Mini came the first ever free design program for Cricut called Cricut Craft Room. I got the Cricut Mini for my birthday. At the time the major craft stores were selling it for $100! I was super excited. I got it out of the box, started playing with it and found it not connecting to my computer, etc. See, in the past Cricut firmware was never compatible with Mac’s. So, the frustrated me, decided to put away the mini for a while. I finally picked it back up earlier this month and I’ve been hooked. Cricut has since done major updates to the firmware and thus making it super Mac friendly! 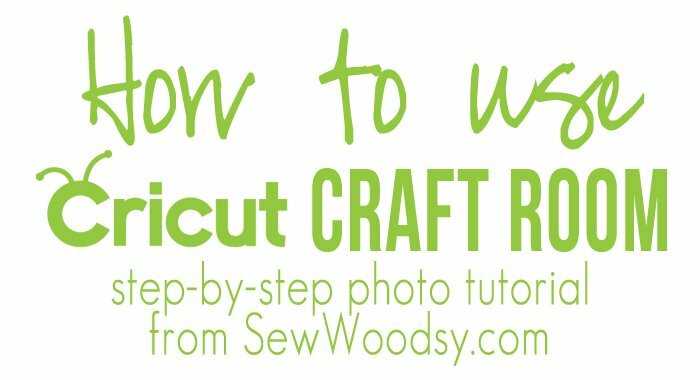 So today, I’m going to introduce you to Cricut Craft Room and how easy it is to design and cut something in just a few easy steps! First up, download the Cricut Craft Room software to your computer. Create a Cricut.com account if you don’t already have one. Once your software is installed you sign in and get ready to start designing! It took me a while to figure out how to link my cartridges. I found this great tutorial from The Cricut Craft Room Blog about linking cartridges. Note, you don’t have to link your cartridges if you don’t want too. Since this is now my primary machine. I wanted to link my cartridges so that I could access them anywhere any time. Yes, I just said that correct. 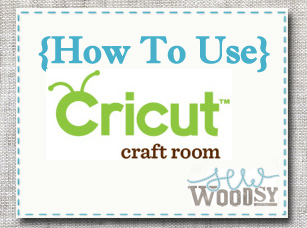 You can log into Cricut Craft Room anywhere by signing in using your Cricut.com username and password and design! Obviously, you can’t cut if the machine isn’t connected to your computer, but you can design! Now that Cricut Craft Room is installed and your all setup it is time to design. Cricut Craft Room comes with a font & basic shape cartridge as well as a bunch of mini projects and symbol cartridges that are offered for a limited time. Every day I feel like there are new free cartridges available to use. I used the Cricut Font and Basic Shapes font for my cut-out this project. You can move your words all around the mat! You can also choose a variety of machine and mat sizes. If you have multiple machines–no worries here! I love being able to see exactly where the item is going to be cut-out. This ensures I don’t waste an entire piece of paper and/or vinyl! Once your ready to cut–click on the cut button. I’ve been finding recently that I have to click on the folder and then re-click on the file to cut my project. Before you go to cut you get a screen that prompts you to confirm your settings. I love this new feature! You can pick 5 options from the drop down menu in step 1 (Custom, Heavy Card-stock, Medium Card-stock, Light Card-stock, and Vinyl). You adjust your speed and the number of times you would like to cut this item on your screen and then adjust the depth of the blade and the pressure on your physical machine. Click the “cut” button and watch your Cricut go to work! If you use a Cricut and have been afraid to make the leap over to Cricut Craft Room I hope I helped ease your fears! Do you use Cricut Craft Room? I’d love to hear your thoughts on this new-ish program! Disclaimer: There are affiliate links in this post. I was not compensated by ProvoCraft to write this post. When I wrote this post ProvoCraft did not know who I was–fast forward one year later from when this tutorial was published and I now work with them on occassion. Still–all opinions are my own. Hmm, the Craft Room sounds interesting! I have never heard of it. I have a few cartridges but haven’t bought many after I purchased the Sure Cuts A Lot program a few years ago. Is CCR like SCAL where you can cut things that are not on any of your cartridges, i.e. an .svg file you found and saved from the internet? Kristin, I don’t think CCR is like SCAL where you can use the .svg files. However, I’m still dabbling around with the program. I was never able to use SCAL because it wasn’t compatible with Mac’s. 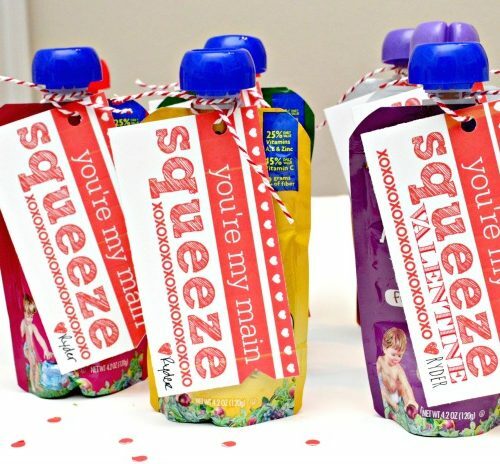 Is the Sure Cuts A Lot program stll available for Cricut Expressions? I just recently bought my Cricut and I would like to know where I can get SCAL? Hi Tei, From what I’ve read online that program has discontinued and was never endorsed by Provo Craft the makers of Cricut. 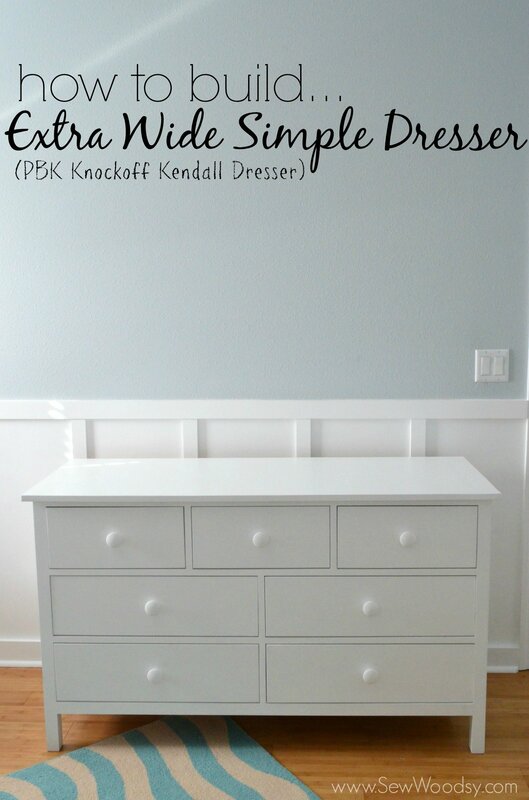 Cricut Craft Room would be the equivalent of SCAL and its completely free! Hope that answers your questions. I knew nothing about the Cricut Craft Room – thank you so much – checking it out now! Very cool, Danielle. It was just released this year, so they are still working out the kinks. I think as long as you have any of the cricut’s you can hook it up to your computer! Our Micheal’s and AC Moores both had classes at one time. Talk to your local store manager they may be able to help and may appreciate the request. They actually had a Cricuit Representative there. I am looking forward to using this. My Cricut should be at my house when I get off work!! Debra–hope you enjoy as much as I do! Awesome! I have been meaning to research this. I heart Cricut. Thanks for the review. Johnnie, I think you’ll love it. It is so nice that you finally get the option to weld letters together to form a word! I also love being able to see exactly where my images are going to cut on the mat! How do you weld letters together on the craft room ? Hi Stacy, Thanks for stopping by. I don’t have a tutorial but I found a video tutorial here. Hope this helps! Welding couldn’t be easier. After you have place 2 or more graphics on the mat there is a little box that comes up and lets you choose weld – don’t weld. Another great feature in Cricut Craft Room is that you can design using any cartridge not just the ones that you own. You can only cut if you have linked your cartridge, BUT if you like the cartridge you chose to design with you can buy it immediately. How cool is that? Once you have tried Craft Room you will wonder how you ever got along without it. Agree Marlene! Love Cricut Craft Room. Awesome! I need to try this! Viv–I think you’ll love it! I love my Cricut. I have been trying to get the Cricut craft room to work since April …. grrrrr! No luck but customer service has been very nice and has been trying as well. I can’t wait until I can start creating with it! Awesome tutorial! Mary Beth, I was like that until just earlier this month. They did a few updates and I guess it did miracles and now I’m able to use it. Keep in mind I’m on a Mac so I feel like that may have something to do with it. You are going to love it once you get on–they have quite a few “free” images/sayings right now. It seems to be a seasonal thing. Every time I sign on I see new images pop up! Fingers crossed yours will start working soon! I’m trying not to throw my computer out the window right now. I have had to go to my email 4 times to get back into the craft room to do the “free” Mother’s Day card. I got it all ready to print and it locked up looking for my mat status. I thought I’d try later and now can’t find my “saved” project anywhere. I can’t even get into the craft room to get a blank mat to try again. Someone help me so I can get the angry cricuts out of my head! 🙂 Thanks. Hi Donna, I’m sorry to read this. I think the best thing to do is get on the phone with the Cricut Customer Service line and/or message them on Facebook. They are amazing at responding to issues. Fingers crossed you can get it to work. For all of you having problems getting the Craft Room to load. Especially if you have an Anti Virus program like Norton. You need to set up the anti virus program to not scan the Provo Craft files. I had a heck of a time getting my sisters computer to load the craft room and fixed it thru the norton program. But other anti virus programs cause problems also. Hers loads now and doesn’t just sit there! Suzbee! This is great advice! I’m going to post about your tip on our fan-page! Thanks for helping! This is awesome! Thanks for sharing this. I just did a bunch of vinyl projects over the weekend but plan to more labeling tomorrow and this is great because it comes with all kinds of extra fonts!! Yay! So cool…totally sharing this! Becky–I’m glad you found this helpful! It is amazing how Provo Craft hasn’t really marketed their new site to anyone. I have been trying to use this for months now. It keeps telling me that I have to update my machine but when I go to do it it doesn’t recognize my cricut. Not sure what I’m doing wrong. Any help would be appreciated. Hi Cara, the same thing happened to me the first month or so. I was so frustrated–try rebooting your computer and doing updates. Hopefully it will start working for you soon. Wish I could lend more advice! 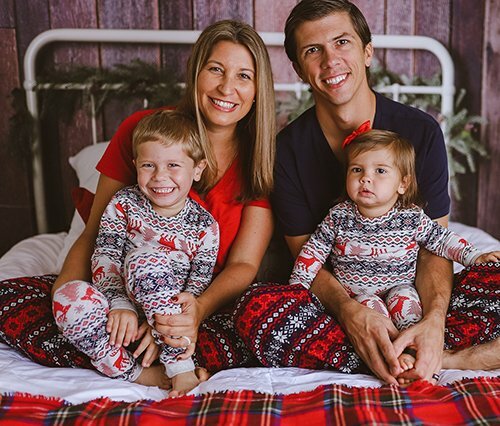 Hi Cara, there are free images in Cricut Craft Room. When you are in Cricut Craft Room go to “Cricut Craft Room Exclusives” and you’ll see that some of the cartridge/image names are highlighted those are the ones that are for free. 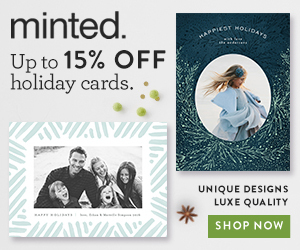 Right now they have a few political ones for free as well as Cricut Mini – Baby, Celebrate, Elegant, and School for free (and a few others). You may also need to do an update on your software to see the most recent free images. Hope this helps. I am looking at purchasing this. Can you give me an idea as to what it cost to cut shapes that are not free? Hi Paula, The cricut mini can be found in craft stores for around $100 (on sale). You need to purchase each additional cartridge. I find them online anywhere from $20-$40. 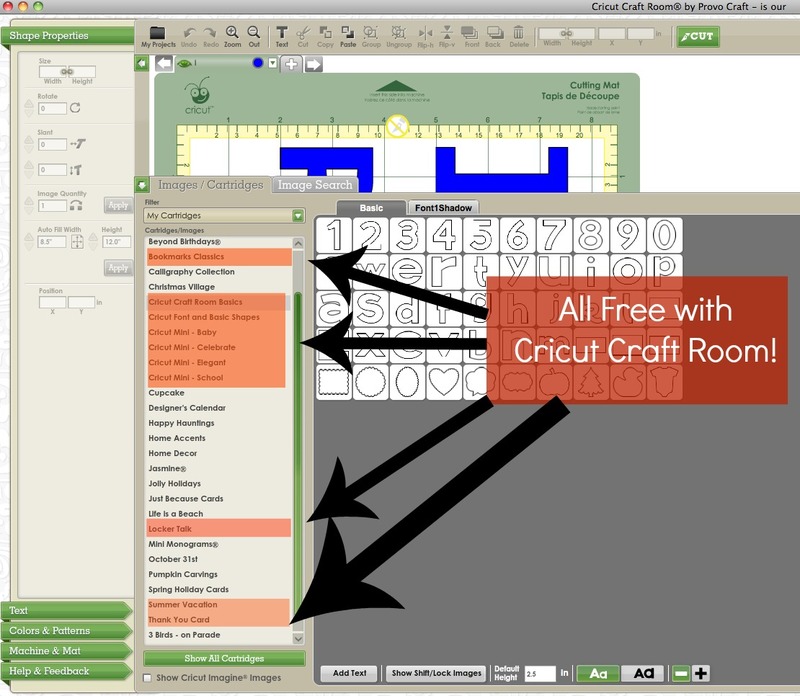 As far as Cricut Craft Room goes… it is a free program that Provo Craft gives to its users. The cricut craft room exclusive images contain about 1-20 images or fonts and range in price from $1.99 up to $19.99. Please feel free to email me if you have any other questions. I have successfuly conected my cricut to the craft room but I can’t now use my Cricut as a stand alone. Is there a way I can use my machine without conecting first to my computer like I used to before I linked it to the craft room as I don’t always want to be carring my computer around with my Cricut Create. Hi Elaine, what Cricut machine are you using? If it’s the new Cricut Mini it will always have to be plugged into your computer since it does not have a keypad and you have to use Cricut Craft Room to cut from the machine. If it is any of the other machines then I don’t see why it would be a problem to unplug your machine from your computer. Hope that answers your questions. Thank you for your reply. I am not using the Cricut mini. Mine is the black Cricut Create which I have had for about year and it’s only recently that I connected it to the craft room. However since posting my problem I have received an email from Cricut and there seems to be a firmware problem. They have sent me a set of instructions to follow, which I have yet to do, in the hope of resolving my problem. Thanks again for your rpley. Elaine–I have the same Cricut (that was my first one). I haven’t tried setting it up with Craft Room. I’m glad Provocraft contacted you. Fingers crossed the firmware issue is resolved. I know that was my problem for a while (however, I never contacted them I just waited it out). lol. I have the Cricut Craft Room downloaded and love it, but I was Scrapbooking at my friends Lake House and she doesn’t have internet connection there. Is there anyway to use the craft room without an internet connection or is it just with a internet connection only. I was so excited about craft room b/c I didn’t want to carry all my cartridges with me when we went Scrapbooking at her lake house. I was thinking this program would be great just to connect my laptop to her cricut and share cartridges with everyone. Hi Becky. I believe you have to have internet connection to access your account. I hope that Cricut will find a way for people without internet connection to still be able to use the product. Does the Cricut Craft allow you to weld images? Hi Susan, yes the new Cricut Craft Room lets you weld images as well as stretch images. I love , love the Cricut Craft Room. I have used it so many time already to make baby shower invitation, thank you cards, birthday cards. My grandkids just had and under the sea party and we made the invitations, thank you cards and all the decoration. I have the Cricut Mini, Cricut Create, 2 Cricut Expressions and the Cricut Expressions 2. I set up everythilng in the craft room plug in my computor set up all the mats and away I go. It makes it so much easier and much faster. I even did a scrapbook page for each of the kids in my granddaughters tee ball team and within 1 and half hour I had done all 20 pages. Thank you Cricut for all your products my granddaughters and I just love them. Desiree–I agree I’m so happy that Cricut finally came out with Cricut Craft Room. It saves so much time!!! Hi. If you sync your cartridges with the cricut craft room they are saved there. You don’t need to put them in the machine to use cricut craft room. Is is like the gypsy when you link your cartridges with that. This is a great blog and it is nice to ‘chat’ with someone who is not selling for Provocraft. I have bought a couple of used cartridges and I am not sure if they have already been downloaded to a Gypsy previously. I wonder what would happen if I tried to load or sync these carts. Hi Janice, I don’t own a Gypsy so I can’t answer your question; however, I would imagine some sort of popup message would appear stating that the cartridge has already been linked. I would give it a try. However, I would look into seeing if once you link that cartridge to your Gypsy if you can also link it to cricut craft room… not sure. Definitely look into it! Have fun play with your cricut! Hi Fiona, I understand what you are asking. To be honest, I’m not sure. I have tried matching images for multiple layers and I’ve had a very difficult time ensuring that they all came out the same exact size. I hope this is something Provo Craft will look into during one of their next updates. For now, I write down the exact dimensions and try to match up the other layers as best as possible. Good luck and thanks for stopping by! I tried to match layered inages and realised that could be an issue too. What I do now is select all the images to the cutting mat image. hold down the shift key, select all images and then size them all at once togeather. The images I am not ready to cut I drag off to the side of the cutting mat image. when you go to cut you will get a message that not all images will be cut. that just means the ones off to the side will not be cut. just answer ok.
Great tip Leslie! Thanks for sharing! I am looking for a font cartridge (a reall good one) I really want monograms and a curly font. Can I get that from CCR. If so, please tell me how………or do I have to buy a cartridge, if so, what do you recommend? Hi Casandra, Yes you can buy font cartridges directly from Cricut Craft Room. I’ve yet to buy any directly from craft room, so I can’t really guide you on that. Is there a way to create your own designs in CCR with out using cartridges bought through Cricut? I have some images in mind that I have scanned from coloring books that I would like to use. I have created SVG files using Sure Cuts Alot, but I am weiry about using it with my new machine after reading that it is not compatable and that it voids the warrenty. Hi Ben, I’ve yet to figure that out. I wish that Cricut would allow you to create your own images as well… If I ever figure it out I’ll let you know. Or vice versa! How does it void the warranty? It is just software…right? Hi Amy–Cricut Craft Room does not void the warranty. Other third party programs in the past would void the warranty of the Cricut. I LOVE ccr! I just started using it 2 mths ago and have a 12 wk old so I can’t get to it as much as I like but what I have done with it is amazing. I can layout an entire project and arrange it on the mat before I cut, design with fonts and get to see if I like it or not before i cut, which saves me a ton of paper), and weld letters and images together for entirely different looks! I’m in love! Susie–to this date I have not figured that out yet. 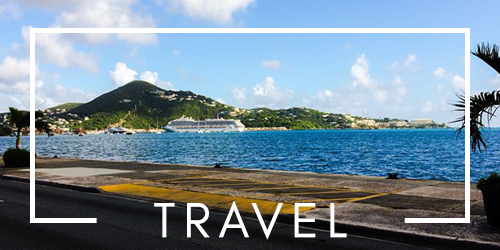 Trust me… if I do I will write a blog post about it and share it with the world! 🙂 Thanks for stopping by! Can anyone help me? I am having trouble getting my cricut to download to my computer. I have tried lots of things but maybe I’m not holding my mouth right! I have the mini cricut and I’m dying to use it! Also for some reason I cannot get the cricut craftroom downloaded on my pc either. I’ve tried the troubleshooting on the cricut website and looked over everything over and over again. Please if anyone can help me I really appreciate it!!! Thank you! Hi Amanda–I had the same problems you are experiencing. Sadly I really can’t be of much help to you. I restarted my computer a few times, removed the plug from the mini a few times, and then one day it just worked. You might want to call Cricut’s 1-800 number. I just wondered if I would be able to take my cricut machine to someones house and access the craft room from their computer and still be able to cut using my machine…. Thanks! Hi Katie–yes, you can access Cricut Craft Room anywhere by logging in to your account. However, your friends computer will need to have Cricut Craft Room downloaded on their computer. Hope that helps and thanks for stopping by. I’m interested in purchasing the Cricut Mini, but I want to know what the “hidden” costs will be. I realize the software is free, but do you have to purchase the designs? Hi Debbie, Yes, you have to purchase each individual cartridge–so that is where the hidden cost would be. With that being said I’ve found them on sale at the local craft stores, Amazon, and eBay for a good price. Hope that helps! Hello , I have just bought a Cricut Mini and have experienced many problems with the installation of Craft room, now I have got passed the installation and for some reason I can’t open craft room to access the virtual mat, can anyone help please??? Hi Violet. I wish I could help. Maybe try giving the customer support line a call to see if they can trouble shoot with you. How I use the craftroom in spanish. Thanks !! Can I import my OWN images/phrases or fonts to cut? What I am looking for is not contained in any of the fonts I see in the craftroom. I am new to all this and I would like to cut my own designs and import my own fonts to use.. Is this possible? Hi Jo, unfortunately, you are limited to only what Cricut has available. You can; however, create your own phrases using one of the fonts Cricut has available and then weld the letters together to make it one solid word (hope that makes sense). Good luck and have fun with the Cricut! I am considering buying a Cricut, but one reason for my hesitation is because I am not familiar with the fonts. Is it possible for me to “play around” in the Cricut Craft Room before buying a machine? Thank you. Hi Linda–Cricut craft room is a free program. With that being said you could easily play around and see all the cartridges Cricut has to offer! I just got the cricut expression and have no clue how to use it. I know how to cut out letters but that’s about it. I got two cartridges with it and a roll each of vinyl, chalkboard, and iron on. I tried the iron on and it doesn’t iron on well. I was very disappointed. For the price I was hoping it would stick. Jenny–I use the Iron-On vinyl all the time and have had no problems with it not adhering on. Make sure when you iron it on to your fabric that you do not use steam. I tend to keep my iron on longer than instructions say only because I want to make sure its on their good! Give it another try… even if its a sample piece on a scrap fabric… don’t give up. Cricut is a great product and they have great customer service. Let me know if I can help in any way. Hmmm that’s odd. It should recognize the digital cartridges you’ve already purchased. I just came across your site and there is some good information that you have provided. ( I hadn’t heard of CCR) I have had my cricut for several years now and I bought the Design Studio way back when. My question is would CCR be a separate program aside from the Design studio? would they work together or would this take over for Design studio? thanks for your time. This may seem like a stupic question, but I am VERY new to this Cricut world. I just purchased the Cricut Expression 2. I would like to download the Craft Room because it sounds amazing. However, I have dialup so I have to see about taking my laptop to my sisters where she has much faster internet. 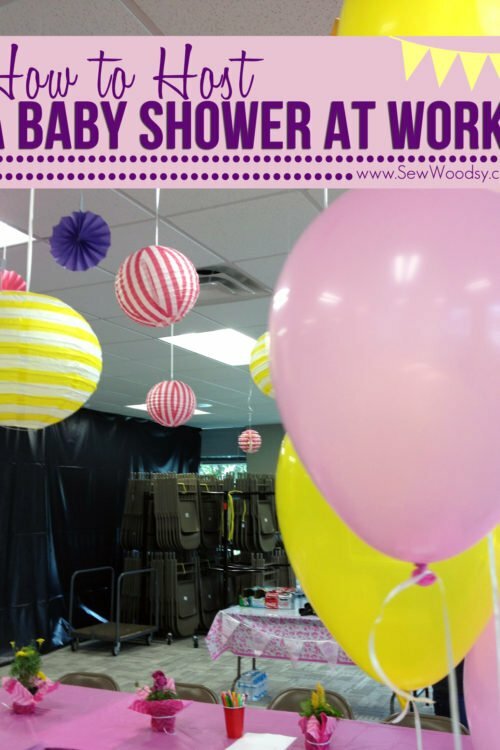 My question is – when you use the craft room, do you need to be connected to the Internet in order to use it? If so, this will not work for me because of only have dialup connection in my area. Hi Linda–Yes, unfortunately, you need to be connected to the internet in order to use Cricut Craft Room. I am going to a treat and would love to use the Cricut Craft Room with just my owned cartridges. This is a downside to linking the cartridge if you don’t have internet access you still have to hall the machine and all the cartridge. Hopefully Cricut could consider allowing the Cricut Craft Room to be utilized without internet access. Our retreat is in the wood and no cell or internet unless I want to stand outside on the Montana with my cell phone trying to get a hotspot. Hi Annette, the new Cricut Design Space allows you to use the program without internet. I highly suggest upgrading once you can! Hi Bj, it is not possible. Cricut Design Space was only created for the newer Cricut Explore Machines! Sorry! Hi, I’m trying to get the craft room to work with My expression and my MacBook Pro. And I can’t get it to cut out my project. Which connection do I use to make it work? I used the one from my Gypsy and almost fried my MacBook. Oh no. It just died. But thank God it came back on. It looked like it was going to work. Do I need to get a different computer cord to link it up? Hi Jeanne, I operate on a mac and haven’t had any issues with getting it to connect. Maybe try restarting computer, clearing the cache and unplugging /replugging the cord. I’ve also put in your question to my Cricut concierge contact in hopes she can help answer/resolve your question. I guess the Craft Room is suppose to replace Design Studio since Provo Craft no longer updates it. I like sharing tips too, that’s why I wrote the Cricut machine tips book. Am I correct in thinking that I can use the craft room on multiple computers? I don’t have a laptop but if I am understanding all the various things I read, if my Gypsy is linked to my Craft Room and all my cartridges are linked to my Gypsy, then as long as I can install the FREE Craft Room software on whatever computer is available to me at the time (say my home, my work, my best friends house, etc), then I can access all my cartridges from whichever computer I log into the Craft Room from? Kristie–you are correct. You can use Craft Room on multiple computers. You just need to software downloaded on each of the computers you want to use… plugin your username and password and voila… craft room at your finger tips! I tried that, it told me I can only have it on two computers. I ‘m trying to delete one computer and use the laptop for the other computer. But I don’t know how to delete the other computer. Do you know how? I just recently started using CCR. I like it a lot. But I have a couple of newbie questions. 1I have had my Cricut and Gypsy for a few years, but this is the first time I have linked my projects to my computer or used Cricut’s digital software at all.. I have tried moving individual projects to my Gypsy that i created using my digital software. I save it to my computer and then transfer to my Gypsy. Most of the time it works but not always. i haven’t tried doing a project any where but at home since i started using my CCR. Can I transfer a digital cartridge that i purchased through my CCR to my Gypsy? Also is there a way to load a cartridge directly onto my CCR without first loading it to my Gypsy? Colleen, I’ve forwarded your questions to my Cricut Concierge Rep… I don’t have a gypsy so I can’t help. But she should be able to provide me with an answer to give you in a few days. Bare with me, I have a newborn and I’m on the computer randomly! I have the Cricut Expression and have had it for about 3 years and have never used it. I would like to try the Craft Room but…..I’m embarrassed to say that I don’t know how to connect my lap top to the cricut……lol. It didn’t come with that cord…it’s an odd connection. Can you help me? Hi Shelley–I’ve never had that happen to me before. Try a few things before calling Cricut support. If after both of those things it still is not showing I would definitely give Cricut support a call! I have the personal cricut cutter. I think it’s the first version they made. Can I use the circuit craft room w this model? Hi Melisa, You should be able to use Cricut Craft Room you just need to be able to connect your machine to your computer. Give it a try–good luck and happy crafting! Hi Christy, unfortunately you can’t download tff files to Cricut Craft Room. 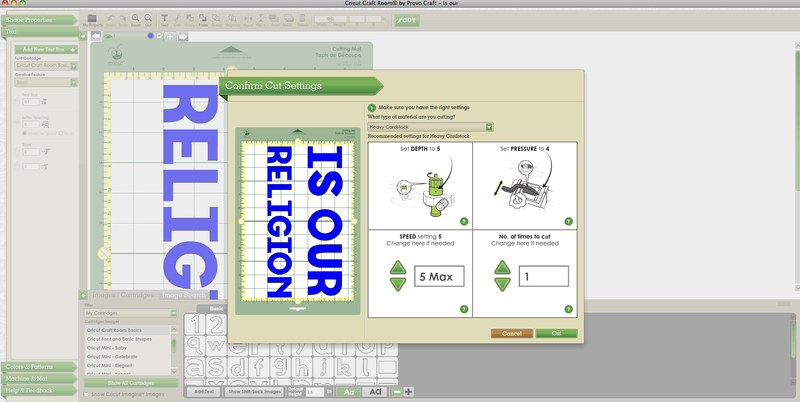 You can; however, download and use your own fonts in the new Cricut Design Space. So, I think that some Mac users are luckily successful and others are not. No rhyme nor reason. Liz–I have heard the same issues from other friends and I think your right. Sorry to read yours is not working! I have a cricut question. I am trying to use the cricut craft room. When I go to the logo (which I am assuming send it to your cricut) it wants me to set my dial. I dont have a dial. The craft room thinks I have a cricut something (cant rember what it said) but i have a cricut expression 2. How do I get it to cut my design? Also my cricut craft does not look like your pics. Hi Krystal, not sure if I’ll be of any help. I would suggest contacting Cricut customer service. I wrote this post almost two years ago, so the Cricut Craft Room interface may have changed since then. I no longer use craft room since I now have a Cricut Explore and that required Cricut Design Space. Hi Amanda, I haven’t used Cricut Craft Room all year since receiving my Cricut Explore (that uses Cricut Design Space). My only suggestion would be to call up customer service. Sorry–wish I could give you a better answer! You don’t really want me to speak my mind! Especially when it comes to ProvoCrap and their no Customer Service blood sucking Corporate Corporals. I am a graphic designer and now that they’ve made it IMPOSSIBLE to cut my own designs… I have a useless piece of plastic that is an Expression 2. Just what am I to do with this piece of crap that I bought for the sole purpose of cutting not only from cartridges but also from my own creations Not a happy Camper in Curtis. Grannybetty, so sorry to read about your frustrations with Cricut. They are an amazing company and strive to make all of their users happy. I know this first hand. I know in the past that the old machines were very limited in what you were able to do. Now, with the new Cricut Explore, you can design all of your own files and upload your own JPG, PNG, and CSV files for free. Plus you can use all of your own fonts. Study show that the Cricut Explore outweighs the Silhouette in the cutting department. The Explore can cut so many other materials that the Silhouette can not. I have the expression 2, I have linked all my cartridges and took my computer to my sisters house to scrap with her. CCR would not allow me to cut from her cricut using my computer and account. very disappointed . I was hoping this meant I no longer had to lug all my cartridges around with me. and I find the mats don’t last very long before they are no longer sticky and yes I cover them when not in use. Hi Debbie, I’m sorry to hear that your having challenges with CCR. If your ever ready to upgrade I believe you can cut from machine to machine with the Explore. I agree the mats do not last long. I too cover my mats too! From time to time I will give them a light dusting of repositionable spray adhesive. Hope that helps. Eeek Donna. Not sure what to do. You’ll definitely need to contact Cricut Customer Service. Sorry and Good Luck! I am using a monogramming cartridge on CCR but am unable to figure out how to make the letter thicker so they are not so thin, do you happen to know how I can do this? I have tried everything I can think of, but have had no luck. Any suggestions you could give me would be greatly appreciated. Hi Donna–sorry I’ve never used that cartridge. Maybe duplicate the image and lay it just slightly over it? I have a few questions. I just heard about CCR and loaded it on my computer with no problems. I created a few projects to play with spacing and welding. HOW do I connect my computer to my Cricut Expression? The only cable I can find is the power cord. In my practice projects I only used cartridges that I know I have but I’ve not linked them to my compuer yet either as I assume I need the same cord to do that? Hi Janice, You’ll need the cord that connects from your Expression to your computer. I would reach out to Cricut to see if you can buy one of these. Hi, I have a total newbie question, firstly I am on an older Macbook Pro laptop that is updated to the latest OS X it can go which is 10.7.5 Lion. I recently acquired 2 Cricut machines, a mini and an expression. After 4 frustrating days I finally got CCR to recognize the mini but still couldn’t cut. Now the expression will work with CCR but it’s not recognized in the Design Space. I have upgraded the firmware of my machine as well as made sure my mac didn’t need any updates, I have even tried running the windows version to no avail. So is there a way to force Design Space to recognize my expression, or alternatively, is there a way to import my Design Space projects into the craft room? Thanks in adavance, any help would be greatly appreciated since I can’t seem to get a straight answer from the Cricut support staff. Hi Kohl, Cricut Design Space only works for the new Explore models. There is absolutely no way to get your older machines to recognize the program. If you have a CCR account you can however use the same account to log into Design Space and it should recognize your past projects; however, if you design in DS and try to open it in CCR it will not allow you too. CCR is no longer being supported by Cricut–so what you get is what you get. 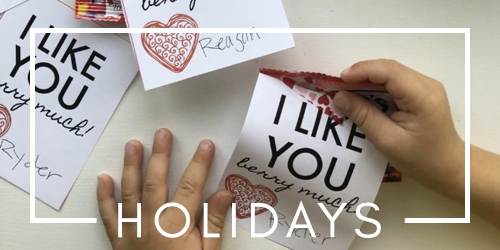 I can honestly say being a devout Cricut user for years (and way before I ever started working with them) the new Explore is the best machine yet–it gives you the flexibility to do just about anything! Hope that helps! I just learned about the Cricut Craft Room. Will it work with my Cricut Imagine? Also if i have cartridges that have been linked with my Gypsy, will I be able to use them in the CCR with the Cricut Imagine? Hi Kim–I’m not familiar with the Cricut Imagine. I’m so sorry. I think it would be best to call Cricut Support. Sorry! Hi Terry– Cricut Craft Room only allows you to use the fonts and images available on cartridges. You are unable to upload or use your own fonts and images in Cricut Craft Room. 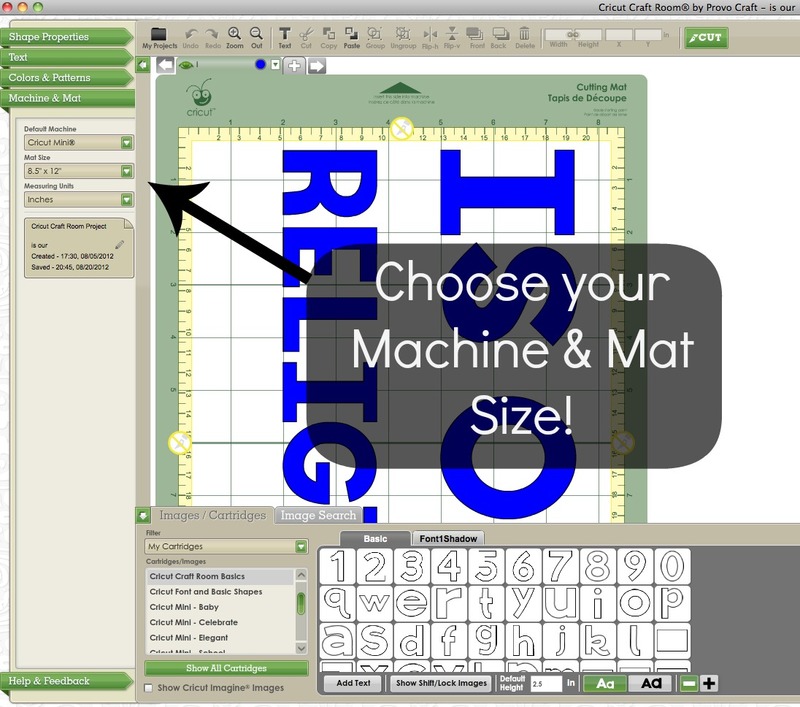 If you have a newer machine, for instance, the Cricut Explore then you have access to Cricut Design Space and you CAN upload your own images and use your own system fonts. good morning, so you ae saying i can use my cricut expression to cut images i have saved on my computer? 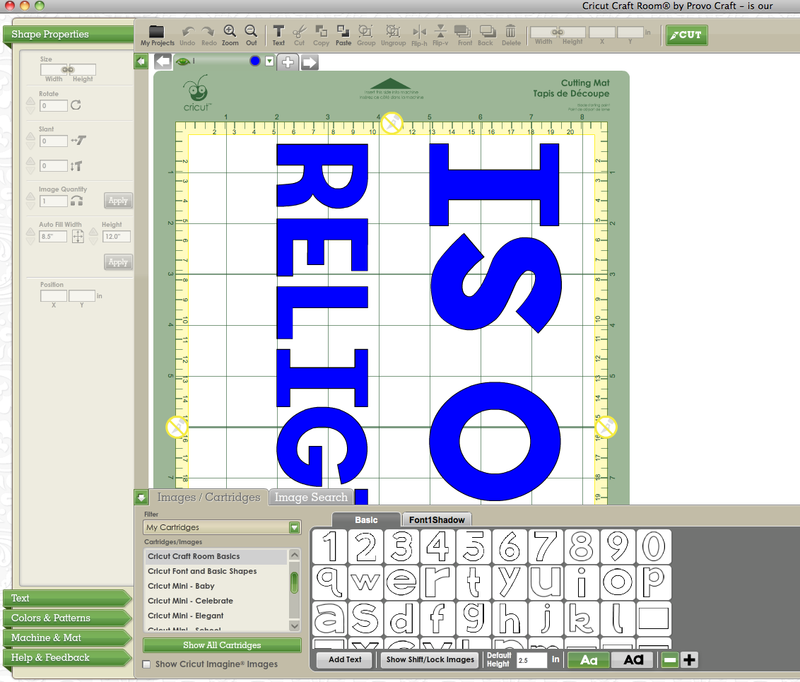 i have a desing for a large putz type christmas church i would love to cut out with my cricut so as to offer small group on this project. cricut cutting sure would make cutting much easier. Hi Walt, thank you for taking the time to leave a comment. You can not cut images from your computer unless you own the latest addition of the Cricut Explore, Cricut Air, or Cricut One. Then you can upload your own images and fonts and cut until your heart is desired! Hi Lynda. Sorry to read your experiencing issues. If you do not have the cartridges linked to your account you do need to manually put the cartridge in your machine for it to work. Or buy the cartridge digitally in CCR. I am having trouble cutting. Every time I hit the cut button it says that my images are outside the cutting mat. I have moved everything to be inside by at least 1/2 inch. I also have created words and they are grayed and won’t cut. Can you help me please. I did check the mat size and all is correct there. Hi Karen–Unfortunately, I haven’t used Cricut Craft Room since switching over to the Cricut Explore and Cricut Design Space. So sorry I can’t help you! I am having issues when I try to cut from the craft room,… i keep getting an error that some images are not on the page etc etc…. I have tried installing adobe air, unistalling it and re installing it and it still wont work!!!! i am sooooo frustrated right now —has anyone else had this issue? Hi Gloria, unfortunately Cricut Craft Room is very old and is the least priority for Cricut. I haven’t used it in almost 2.5 years since receiving the Cricut Explore. 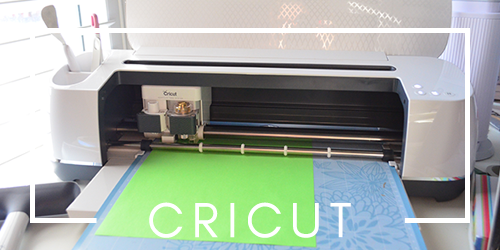 The newer machines work on Cricut Design Space which is supported and updated weekly. So sorry that I can’t help answer your question! trying to use cricut expression2 with Cricut Craft room. my computer connects, acknowledges the machine, lets me know if the mat is loaded or needs loading, everything works fine….until….. I press cut in CCR. says cutting on the comp screen but then nothing happens!!!! so frustrating! PS. the machine cuts fine when using the little screen on the Cricut. I have sent email to help line with no reply as yet. can someone please tell me what country and time zone the help line is in? look forward to getting this working!!! Hi Jade–Just like I’ve mentioned in past comments–CCR is no longer really supported and bottom of the barrel as far as applications go. I’m so sorry your frustrated. I would highly suggest checking out the new Cricut Explore Air and the up-to-date software that is supported. Having the same problem as Karen, Gloria and Jade. Why do they still sell these machines if we can’t use them. I wasted a lot of money buying the Expression2 and aside from printing a few names in vinyl using only the machine, it is really a useless machine. I can’t use craft room either, it won’t cut. Since I purchased this, I can’t now afford to get an explore or whatever it is that works with design space. I won’t buy another cricket since they can’t stand by the machines they already have. Appears they want to keep selling new machines and cartridges/memberships to us, but can’t assist with problems unless we have the money to keep buying updated equipment etc from them. If people stopped supporting them and buying their products, they might reconsider their positions. 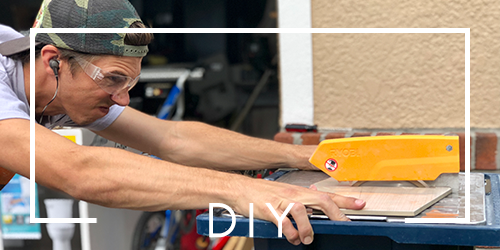 There are plenty of other cutters out there that do great jobs. Hi Bj, I’m sorry your frustrated. Cricut no longer sells the Expression models–only the newer machines that are equipped with the most up-to-date technology. The old machines verse the new machines are truly a night and day difference. From the cutting and precision to the new user capabilities. Just like any outdated technology a company can only support it for so long before it’s not cost effective for them. Hopefully you’ll be able to upgrade in the near future. I have the cricut mini and also use it with my Mac using cricut craft room. I haven’t quite bonded with my machine after several years because it seems to tear my paper quite frequently while cutting. Husband replaced the blade and that seemed to work and now it’s back. But other than that, I’ve downloaded a monogram font from etsy in the form of svg, jpg, eps and dxf. Are any of these compatible with cricut craft room? I feel so lost with this machine. Hi Whitney, yes a sharp blade plus sticky matte help your cuts be sharp and accurate without any tearing. You can not upload your own images in Cricut Craft Room. 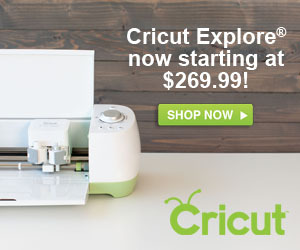 You need a new Cricut Explore machine to use the new Cricut Design Space software. That machine allows you to use your own fonts and upload your own images. Hope that helps answer your question. I’m a new user of the cricut mini and I’m frustrated. I can design but not print. I need help. Hi Sandrekia, the Cricut Mini is a much older machine. I don’t believe that it has the print and cut feature. That feature only came about when the Cricut Explore was launched. I had an old expression and I have a cake machine I now have an explore one- I gave my friend the expression. We have always shared cartridges is there a way we can still do that??? She can use my linked cartridge but there seems to be no way that I use her cartridge even with when it is in my machine. Hi Barbara, good question! If it’s linked to your machine and you are using the same username that you linked it to you should be able to use it. I’ll email someone at Cricut to follow up with you with the email address you provided. The cricut craft room shown here does not look anything like the one that I downloaded. I am completely frustrated with this process. My new Explore was a christmas gift from my daughters. I was able to print out the sample Thank you card. I followed all the steps to load a cricut cartridge. All I want it to do is print letters I choose from the Calligraphy Collection cartridge I loaded. The images for the fronts and individual letters are not there. Between downloading, setup, etc etc I just want to scream. Why does it have to be so hard. I have checked pinterest, googled for answers and found that the design studio is no longer supported. Design studio and craft room are paired together. The help number is available mon-fri 7am to 6pm. I work, how is that suppose to help? Hi Sharona, I created this post back in 2012. I haven’t been on Cricut Craft Room in over a year since receiving a Cricut Explore. I passed on your concerns to the head of customer service at Cricut. They should be getting in touch with you.